Financial journalist Martin Lewis has confirmed he received death threats during the EU referendum. Manchester-born Lewis, who sold his website MoneySavingExpert to MoneySupermarket.com for £87m in 2012 - told PA that the threats came after Stronger In Europe used a quote and photograph on an official leaflet. “I am never afraid of standing up for what I believe in but I didn’t believe I wanted to tell people how to vote," he said. “First of all I was one of six on every leaflet and when they did testing and realised I was the most trusted it was then on the front of every Remain leaflet with a picture of me. Without my permission, without my approval. The quote used was made during an appearance on ITV’s The Agenda in April. 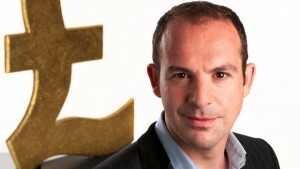 Lewis returns with his latest series of The Martin Lewis Money Show for ITV next week.